Our days are filled with crafts, exploration and some baking. Somewhere in the middle of all that, I find time to work. All 3 kids are home with me and enjoying themselves. 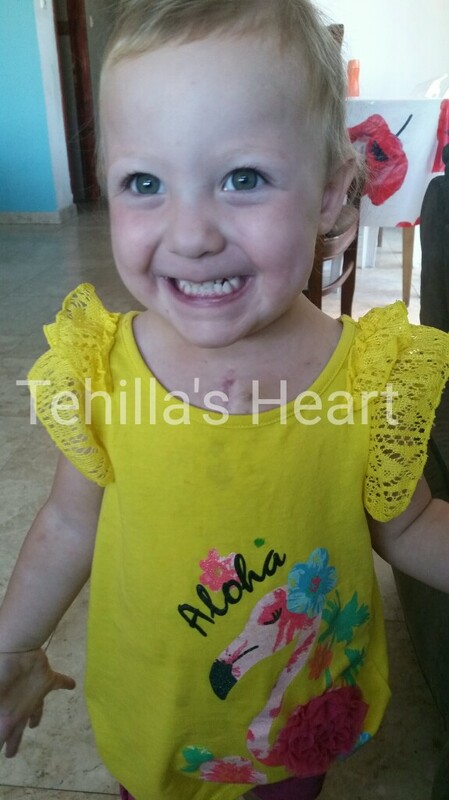 Tehilla has been doing very well. She spends her days making us pretend food, taking care of all of her dolls, and sneaking things out of her siblings' rooms. All in all things are mostly calm and peaceful. Thank G-d. I'd like to hear more about her general health since the surgery. How is her energy? Can you notice a significant improvement in her energy and general well being? I've followed other children over the years who had heart surgery. They often post a picture of their fingers before and after to show the pink of the restored circulation. May each and every day be filled with blessings and joy! brilliant smile! continued good health!